It’s been over a month since I last posted…where has the time gone? If this weren’t a blog about running, I’d bore you with stories about getting my twins ready for kindergarten, finishing (finally) our kitchen remodel, working long hours prepping for the Presidential Conventions, etc. The good news is, in spite of a very hectic schedule, training for the Marine Corps Marathon has continued and I’ve gotten some really fantastic runs logged. First things first: I finally got a chance to “jog” the Potomac Heritage Trail alongside the Potomac River, from the Theodore Roosevelt Island to Chain Bridge. It’s a gorgeous trail “maintained” (I use this word loosely) by the National Park Service, but ENTIRELY unsuitable for running. 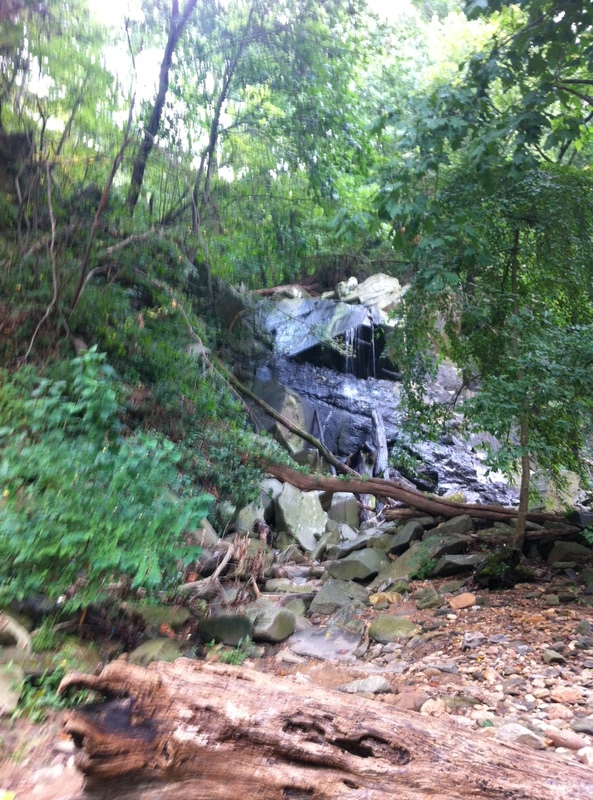 Although very scenic, the trail was rockier than we expected and not well marked (my running partner and I ended up losing our way about a mile from the Chain Bridge trail head, and had to push our way through thick underbrush). My planned long training run turned out to be more like a strenuous hike, but it was definitely worthwhile. If you go, be sure to take a partner and a cell phone. The trail is not easily accessible, so even a tumble or turned ankle could be disastrous. 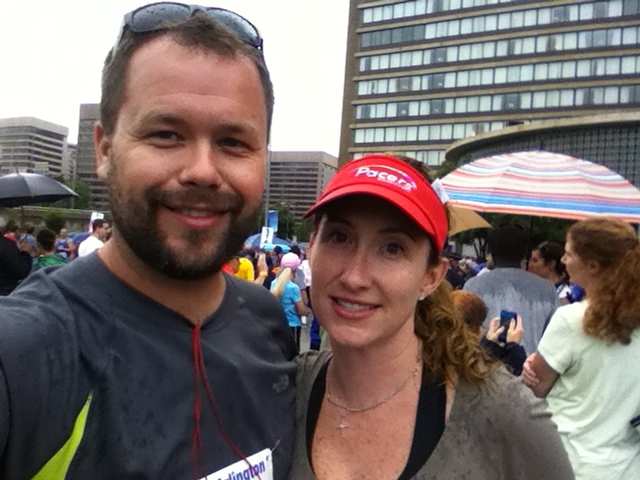 My husband and I also took time out of our marathon training schedule to participate in the Arlington County Police, Fire, and Sheriff’s 9-11 Memorial 5k. We’ve volunteered and/or run this important local race each year since 2003, so it has a lot of special meaning for us both. This year, as in years past, Pacers and the race organizers did not disappoint. Despite the late start due to soggy/stormy conditions, we had a super run. If you’re looking for results, click here. Be sure to notice that I finished a full 30 seconds before my husband (who has been consistently outrunning me in our long jogs…I’ve finally redeemed myself!). That’s all for now! I’ll post again after this weekend’s MCM training run: 20 MILES! Happy Running! Yay! I missed your posts despite they make me consistently feel guilty.